Julianne C. Smith is a Senior Associate for the firm. Her practice is exclusively dedicated to the areas of family and matrimonial law where she has successfully represented clients in litigation and mediation surrounding issues of divorce, alimony, child support, custody, parenting time, and equitable distribution. Julianne takes great pride and care in assisting clients from the early stages of their case to its conclusion. Having gained a strong reputation in the legal community as a fierce client advocate and a sharp negotiator, Julianne was selected as a Super Lawyers Rising Star in 2018 and 2019. Julianne’s legal career began as a law clerk to the Honorable Joseph A. Turula, J.S.C. in the Superior Court of New Jersey, Hudson Vicinage. 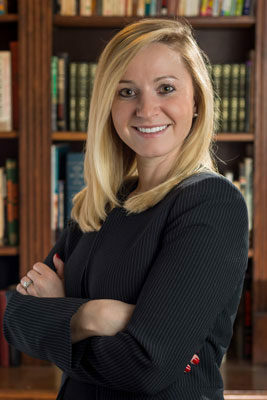 Prior to her clerkship, Julianne graduated with honors from Florida Coastal School of Law, during which time she served on the Student Bar Association and as the President of the Italian American Law Students Association. She also held volunteer positions in the 4th Judicial Circuit Court of Florida with both the Prosecutor’s Office and the Honorable Gary P. Flower. Julianne completed her undergraduate education at Denison University where she was a Fellow in both the Women’s Studies and Sociology/Anthropology departments.